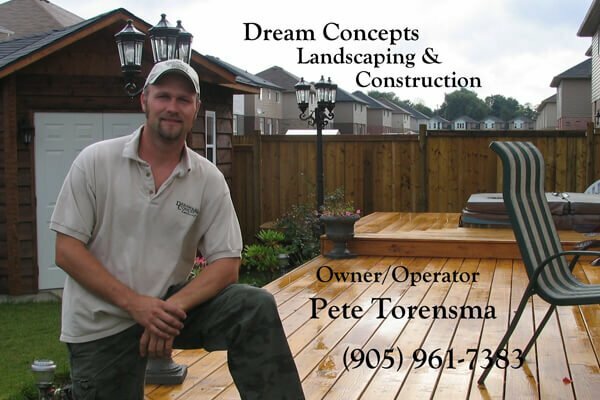 We do decks, fences, gardens, interlocks, whole garden designs, walkways, pathways, driveways, patios, wood and stone retaining walls, waterfalls and ponds. So we don’t just satisfy your needs, we allow you to dream big and turn the impossible into a reality. Please feel free to browse our entire site. You’ll be sure to find what you are looking for. If not, give us a call and we’ll talk pricing, at 905-961-7383.